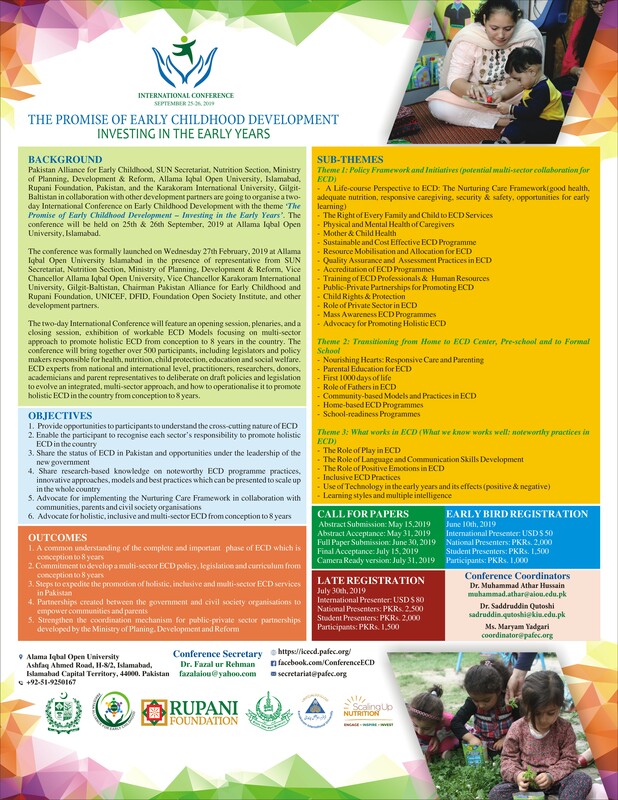 Launching of International Conference on Early Childhood Development, 2019. 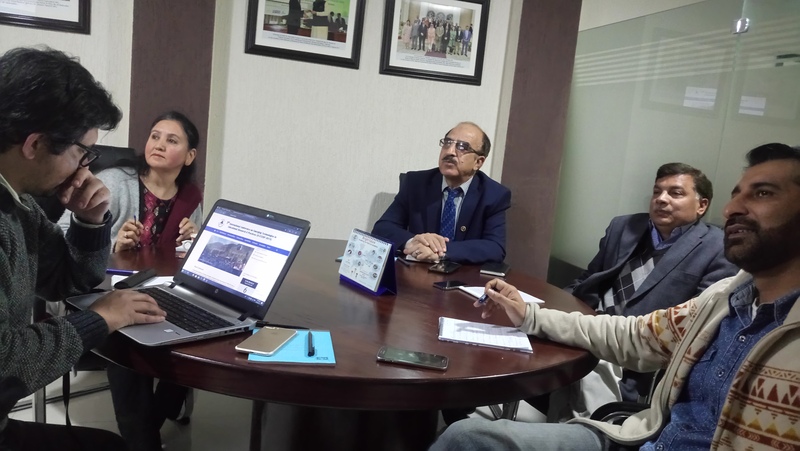 Ms. Khadija Khan, CEO, PAFEC and Mr. Waseem Samad, CEO RF had a meeting with Prof. Engr. 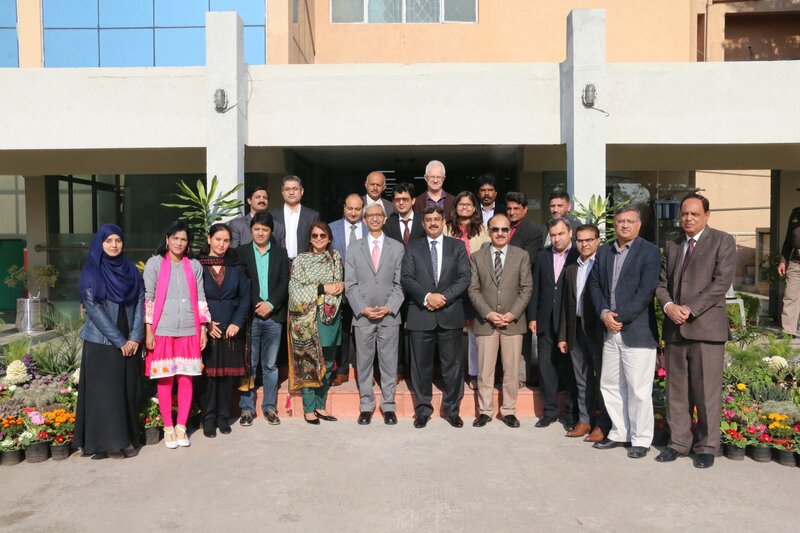 Dr. Atta Ullah Shah, VC Karakoram International University, Dr. Muhammad Ramazan, Dean Social Sciences and Mr. Muhammad Ilyas, Director IPD, KIU. 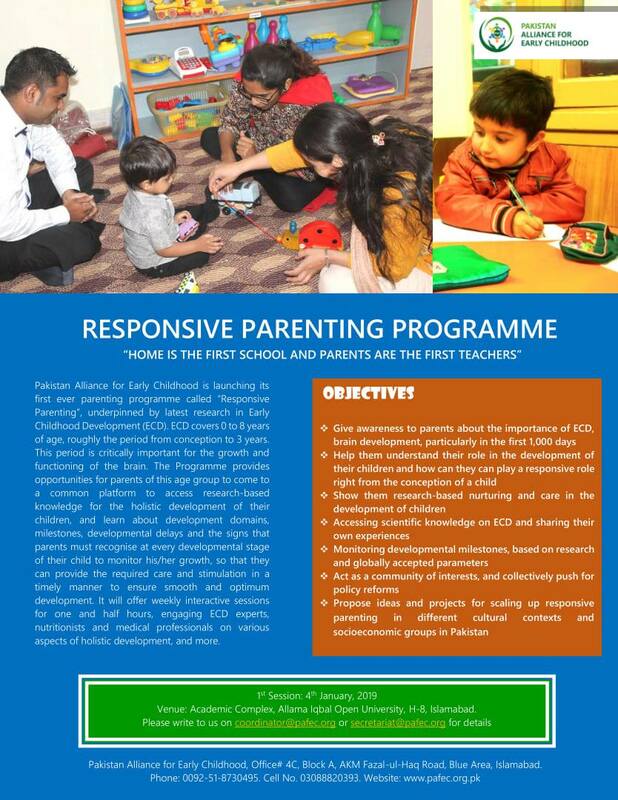 The team discussed matters pertaining to the forthcoming ECD conference. 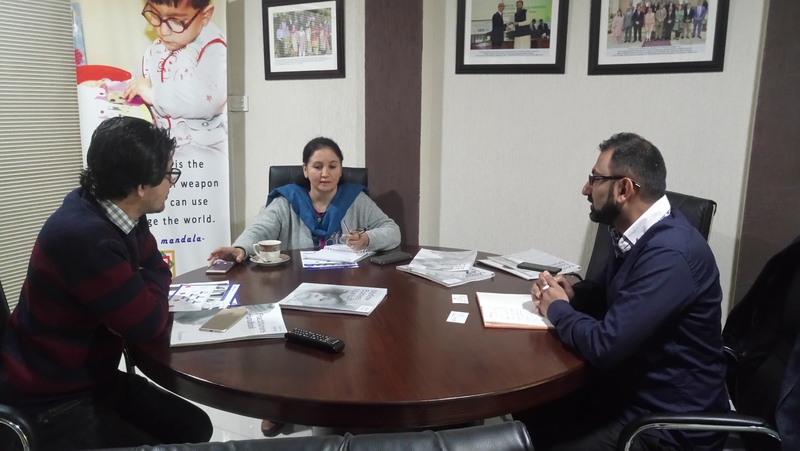 Ms. Khadija Khan CEO, PAFEC and Mr. Waseem Samad CEO Rupani Foundation had a meeting with Mr. Raquib Ibrahim, a representative of Mellow Parenting, a Glasgow Charity which researches, develops & implements evidence-based parenting programmes across the globe. 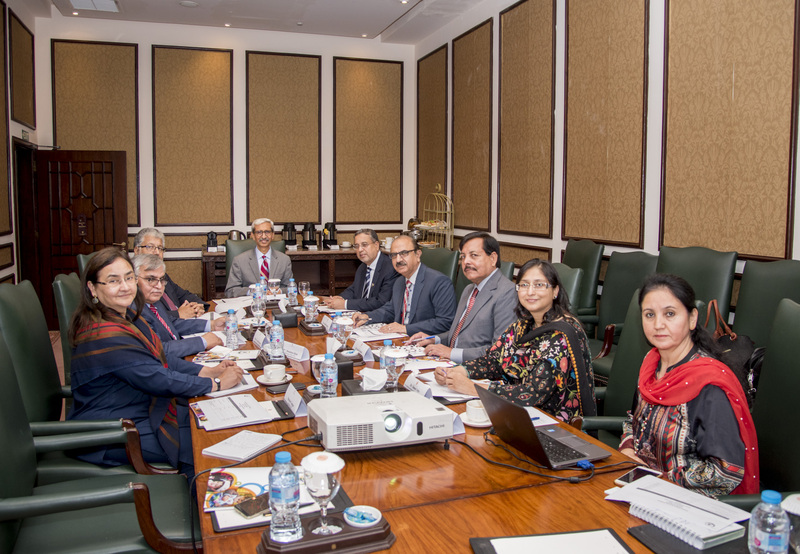 The discussion focused on interventions of their respective organizations and probable future collaborations. Copyright © 2018 PAFEC. All Rights Reserved Designed By Eagle Eye Technologies.